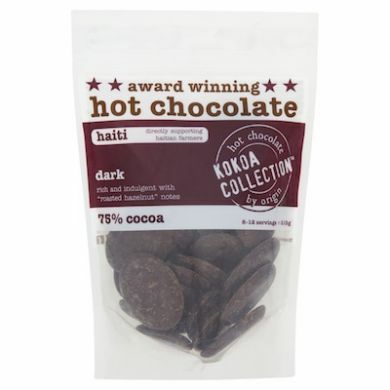 Retail packet of Kokoa Collection Special Edition 75% Haiti hot chocolate. This cocoa is sourced directly from the Cooperative Dame Marie on the Westernmost point of Haiti. 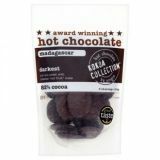 It has a really lovely rich flavour, reminiscent of roasted hazelnuts and red plums and makes a perfect velvety hot chocolate!